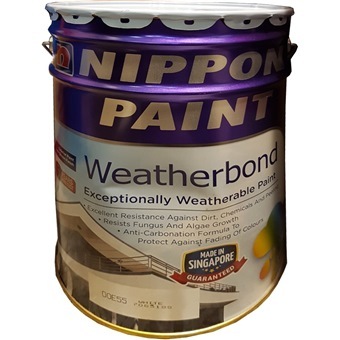 NIPPON PAINT WEATHERBOND 20L [1195 COLOURS] is rated 4.5 out of 5 by 4. This durable exterior wall paint gives your exterior walls a tough yet lustrous finish. 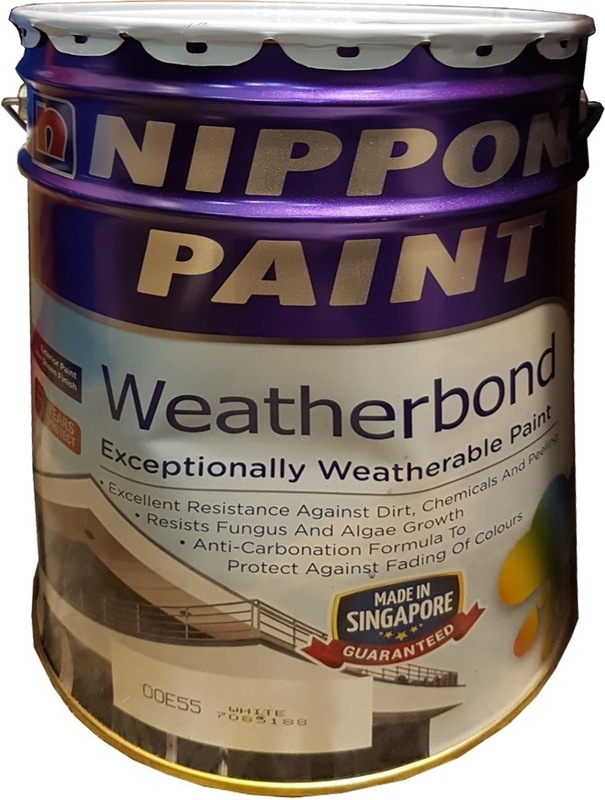 With strong resistance to dirt, algae and fungus, Weatherbond exterior wall paint also guards against fading and chalking, keeping facades looking new for longer. Rated 4 out of 5 by whl256 from Easy to use and minimum odor I'm new to painting. Find it easy to use and paint with minimum odor. Enjoy the delivery service which is timely delivery to doorstep. Rated 5 out of 5 by Ronkong from Do what it does Need to repaint some of the walls due to renovation. As always Nippon with its long history, it does what it does. Nice color and smooth. Rated 4 out of 5 by Nico from Great and easy Bought this for outdoor wall to hide some cracks.. Rated 5 out of 5 by jewelofsg from Great product Great quality product at reasonable price. Have completed painting the exterior of my house and is happy with the result. The paint seems to form a waterproof-like firm over the surface. Horme customer service was also friendly and assisted in my request for an earlier collection so that I can do the painting during the weekend. Thank you very much.